Problems with wild animals? 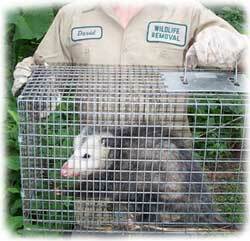 24/7 Wildlife Removal in Orlando Florida can help you. Don't expect Orange County animal services to take care of the problem - they only handle dog and cat cases. If you have a problem with a wild animal such as a raccoon, squirrel, or snake, you need to call a specially licensed nuisance wildlife control professional to take care of the problem. Noises in your attic? 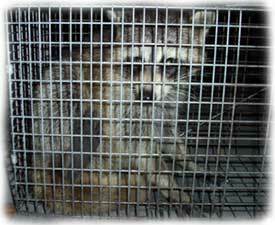 - You may have rats, squirrels, or raccoons! Digging in your yard? - Probably from armadillos, maybe moles. Animals in your trash? - It's the old rascal, the crafty raccoon! Snake in the grass? 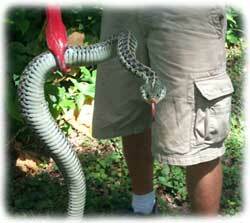 - Miami is chock full of slithering snakes. Bats in the belfry? - We take care of bat and bird infestations. Do you hear noises up in your attic? You may notice a lot of scampering, scratching, chewing, or the pitter-patter of little (or big) feet. 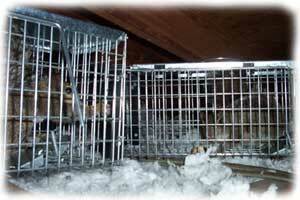 Wild animals love to make a home in your attic, and they don't even pay rent! The most common culprits are squirrels, rats, raccoons, and opossums. If you hear noises during the day, it's probably squirrels. If you hear lighter scratching and scurrying noises at night time, or in the walls, it's probably rats. Rodents often chew on wires, creating a fire hazard. If you hear a heavier animal, it could be a raccoon or opossum. Watch out, raccoon mothers love to raise their litter of kits in an attic! You may notice that your garbage is being raided every night, bags ripped or cans tipped over. Or perhaps your pet food is being stolen. You may find your screened-in porch ripped open and food stolen or your swimming pool defecated in. Wild animals are always on the hunt for food and habitat, and they can be very curious and destructive. They love the shelter and food that homes provide. They often like to live under a porch or crawl space of a home, they love to invade sheds, and many often go under a house to die. 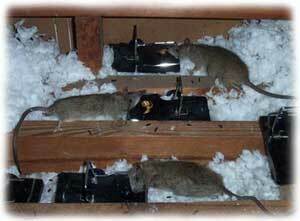 Orlando professional trappers can stop this animal damage and even remove dead animals for you, both outside and inside the home. Some animals can cause a lot of damage to lawns and landscaping. Armadillos, for example, dig for all of their food. They can fill a lawn with small holes as they search for grubs and worms. Skunks will also do this, as will other animals on occasion. Moles also like grubs and worms, and they'll fill a yard with tunnels and mole hills. An armadillo may dig a huge deep burrow on your property, perhaps under your porch or even house's foundation. If too much soil is removed, the support of the structure could collapse. 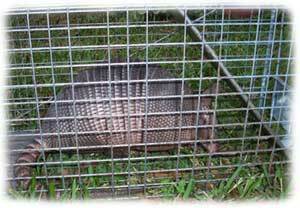 If you want to keep your lawn nice, armadillos must be trapped and removed, and moles should be controlled. It takes a seasoned expert to do the job correctly. What if you have bats living in your structure? This is a case that requires professional help more than any other wild animal situation. Many species of bats are protected, and it is illegal to destroy a colony of these beneficial and misunderstood creatures. Bats eat millions of pounds of Florida's pesky insects, and they are not aggressive, as some people suspect. Bats do, however, leave behind large amounts of guano (droppings) where they live, which creates a fertile environment for histoplasmosis fungus. 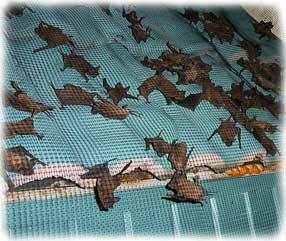 Bats should not be killed, and no amateur should attempt to control a bat colony. A professional can safely exclude the colony without killing the bats, seal all of the entry points, and clean all of the droppings and decontaminate the area. Please call 407-233-3838 if you have a bat problem in the Orlando area.